Texting and other communicational channels have restricted us to little verbal communication. But most of the times a phone call conversation is more effective than typing long messages. SMS and text messaging may seem convenient but are they really convey our emotion?? Surely not! With calls, you not only feel other person’s presence but you can also have the tone and pace. Waiting for reply is really annoying, you don’t know if the other person has read your message or not. When we communicate over a phone call, we get the instant response and don’t have to wait. Verbal communication helps us to understand what other person is actually saying. A phone call with someone special is just more than exceptional. It can help us to make our connection stronger and build understanding in the relationship. Phone calls are not physically tiring and it saves our lots of precious time. Have you ever thought what things make of easy for us to call in the more efficient way?? High voice quality, no unwanted distortion, no delay and most of the important low calling rates; all these factors equally contribute to a good phone conversation. We all somewhat depend on our network providers to get these key elements of the worthy phone call. Telecom companies always try to give its customers all they need for effective communication. From excellent voice quality to inexpensive call charges, network providers have made it all possible for their users. But another thing that counts for better calling experiences is the real calling plans. Voice bundles are much cheaper than the default call rates and give us unlimited calling minutes. So, it is crucial for companies to introduce versatile and flexible calling bundles to draw in more customers and to keep their current users. They should include all resources which customers look at calling packages. Considering the needs of its customers, Telenor has introduced various calling bundles on the daily, weekly and monthly basis. Customers can get endless options to choose from. Some of the packages are pure call packages and many of these bundles are hybrid. By activating any of the bundles, you will get unlimited free minutes at affordable rates. All Telenor calling bundles are versatile and flexible in term of rates and free minutes. Not just for on-net numbers, these bundles also give you the opportunity to stay connected with off-net friends as well. Besides calling, you can also chat with friends and access the internet for free with Telenor call packages. Telenor has the wide range of call packages not just for prepaid customers but also for postpaid subscribers. Telenor knows what their customers want and these packages are specially designed to meet its user’s needs. No difficult process is needed to activate these packages. You can easily and quickly subscribe the Telenor calling bundles. Some of them get activated by dialing code and some of them by sending SMS. Only prepaid subscribe of Telenor can avail these all calling packages. Get talk time both for on-net and off-net numbers. Moreover, you can subscribe to any of the offers by visiting the Telenor website. If you want to subscribe any of the Telenor call packages then here is the detail all voice plans. Daily Telenor voice plans are for those customers who are not a regular caller. Telenor has a long list of daily call packages. It provides prepaid subscribers with various options to choose the best package for them. Get the best chance to connect with your loved ones on the best network of Pakistan. The rates of the bundles are so affordable that you cannot feel any stress. Always get more than just calling minutes by activation any of these voice plans. You will get unlimited talk time to any Telenor number. The offers will expire at the midnight of the subscription day. Dial *345*20# from Telenor prepaid subscribers and get subscribed to good time offer. This offer gives you the talk time of 2 hours to any Telenor number except from 6 pm to 9 pm. The offer is valid for only for a day and gets expire after two hours of subscription. You will be charged Rs 5.50 inclusive of taxes for availing the good time offer. Telenor prepaid users can subscribe to full day offer by dialing the activation code;*5*250#. The offer gives you the flexibility of unlimited calls from Telenor to Telenor and 60 Mbs of mobile data. Full day offer is valid for a whole day and gets expire at midnight of subscription day. The rates of making unlimited Telenor calls with full day offer are only Rs 13.00 including of all taxes. You have to dial *5*727# to activate the din bhar offer from your prepaid connection. Enjoy unlimited on-net calls to stay in touch with loved ones and access the internet with 20 Mbs. Din bhar offer is valid for a day and you can avail the bundle from 12 am to 7 pm. To connect with your friends subscribe to din bhar offer at just Rs 8.00 including tax. Customers on the Telenor Economy package can dial *345*24# from your Telenor SIM to get the subscription to 24-hour poora Pakistan offer. You can enjoy unlimited Telenor calls for the entire day with 75 on-net minutes. 24-hour poora Pakistan offer is valid for a day and provided minutes will expire at midnight. Enjoy unlimited calls from Telenor to Telenor at inexpensive rates of Rs 16.73 inclusive of taxes. Telenor prepaid customers can subscribe to 2 paisa daily offer by dialing the activation code of *020#. You will get the lowest possible calling rates per second of Rs 0.02 including taxes. 2 paisa offer is a daily offer; you can make unlimited Telenor to Telenor calls for a whole day till midnight. Enjoy unlimited Telenor minutes for 24 hours at just Rs 1.20 comprehensive of all charges. This is a super load offer; you have to dial *5*100# before recharge of card 100 or above. You will get 20 minutes of talk time on on-net and off-net networks as well. The provided minutes are valid for a day and get expired at the midnight of the subscription day. You will get the lowest rates in the town; you will be charged only Rs 0.50 including tax for free minutes. Enjoy the 3-day dose of unlimited free talk time with Telenor 3-Day call bundles. Telenor has come up with these unique bundles for customers who don’t want to compromise on fewer minutes with daily bundles and also don’t want to spend much on weekly call bundles. So, Customers can enjoy benefits like weekly bundles with charges like daily bundles with 3-Day voice plans. No matter which calls bundle you choose from the four packages, you will get cheapest rates and maximum no on free Telenor minutes. Never miss your chance of enjoying not just calling minutes but also get free SMS and unlimited data Mbs. You can get full usage of all services with 3-day Sahulat offer by dialing *5*3# from your prepaid SIM. You will get all in one offer; 250 on-net minutes, 25 off-net minutes, 250 SMS, 50 Mbs of mobile data and 100 Mbs for WhatsApp, Facebook and Twitter. You will be charged minimal rates of Rs 40.00 including taxes for using all services. You can subscribe to 3-Day din bhar offer by dialing the code *345*626# from the Telenor prepaid connection. You will get the benefit of unlimited calls to any Telenor number for 3 days in all over Pakistan. The 3-Day din bhar is valid for three days; you can make calls unlimitedly for whole 3 days from 6 am to 6 pm. The charges of unlimited Telenor talk time are Rs 24.50 including tax. Dial *345*299# from your Telenor SIM and activate the 3-Day super hit offer now. This offer will give you the advantage of unlimited free calls from Telenor to Telenor to your friends and family. 3-Day super hit offer will remain effective for three days but you cannot make calls from 7 pm to 10 10 pm. Get endless free unlimited Telenor calls to your loved ones with super hit offer at just Rs 34.00 including all taxes. Simply dial *799# for activating the 3- Day voice offer from your Telenor prepaid SIM. The offer will provide you unlimited Telenor calls to stay connected and 20 Mbs of mobile data to surf the web. Voice offer can be availed for whole three days and you can have free talk time from 12 am to 7 pm on daily basis until expiration. Charges to use Telenor minutes and data Mbs are Rs 36.00. The charges are inclusive of taxes. Weekly call bundles are the most preferred choice for customers. Customers will get maximum benefits at reasonable rates. Telenor has come up with three offers in the name of Telenor weekly calling bundles. These all packages are specially designed for the usability and ease of their prepaid subscribers. All the packages offer lowest calling rates and unlimited talk time to both Telenor and other networks. Enjoy a reliable call experience through your choice of reasonable weekly voice plans. All the voice bundles last for seven days of the week. Don’t wait and subscribe to the package which best suits your communication needs. From your prepaid connection, you can activate Telenor 2 paisa weekly offer by dialing the code *345*227#. The offer will give you lowest rates of 2 paisa per second on calls and SMS for all local networks in Pakistan. Enjoy the lowest rates on all services for on-net and off-net numbers continuously for seven days. You can subscribe to 2 paisa weekly offer by paying just Rs 4.78 including all taxes and charges. You can activate the Haftawaar Chappar phar offer through the Telenor App and website only. 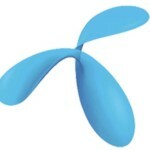 The offer has two incentives for you; 1200 minutes from Telenor to Telenor and 70 Mbs for free access to the internet. Telenor Haftawaar Chappar phar offer will remain effective for whole seven days. You can get resources of on-net minutes and free data Mbs at just Rs 50.00 including tax. For subscribing to Telenor Haftawaar Sahulat offer you have to dial the following activation code *5*7#. The offer is a hybrid package as you will get 1000 Telenor minutes, 70 off-net minutes, 700 SMS on all networks, 1000 Mbs of mobile internet and 350 Mbs for your social pack. You will get all the resources and services for seven days of the whole week. Get everything you need to stay in touch with your loved ones with Haftawaar Sahulat offer at just Rs 95.00 including taxes. These were all Telenor call packages on the daily, 3-Day and weekly basis. There are some terms & conditions of using these Telenor call bundles. The call packages are valid only for prepaid customers and call setup charges will apply on each call you made through these voice plans. After the expiration of packages, default rates will apply. FED and other taxes will apply to recharge and other services. Telenor has the rights to change the charges and rates of the offer or it can also withdraw any call package anytime. 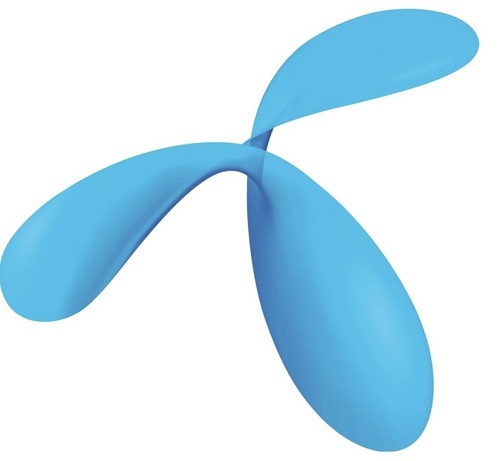 Telenor has introduced most affordable and incredible calling bundles to facilitate its users. So, you should subscribe the bundle of your choice to enjoy unlimited talk time to both on-net and off-net minutes. In this portion of the post, provision of information of Telenor Monthly Call Packages will be made. Telenor cares its customer therefore monthly call packages have also been introduced by the Telenor. The people who are always engage to phones due to such kind of jobs or businesses need someone special call offer for whole month. Following is the monthly package has been briefed in detail.